A few years ago if you’d told me I was going to make a career from hanging out with my grandparents’ peers I wouldn’t have believed you. I’m an intrepid documentary filmmaker: I should be trekking through some remote corner of the planet with my camera! This is the story of how retirement villages, aged care homes and suburban living rooms became my jungle. Until a year ago my grandparents were living in a large two-storey house with a sprawling garden. My dad had been gently encouraging them to downsize for years but there was no way it was ever going to happen, we thought. Family Christmas at the house. Then Gran had a fall down the front steps, and then another. Now a move was seriously on the agenda. They secured a spot in a retirement village with care on call and all that was left to do was move everything from the old house into something a quarter of the size. During one of the family working bees to pack everything up I opened some dusty cupboards and was confronted with towers of photo albums and box-upon-box of unsorted photos. Snapshots of everyday life dating back around 100 years. There was no way it was all going to fit in the new place and no way anyone was going part with a single photo. So I took on the daunting task of getting the photos scanned and archived as digital files. When I’d made my way through the mass of old photos (and many sneezing fits later) I thought my journey into our family history was over. It was around this time that we started to notice Gran’s memory wasn’t as sharp as it had been. In her mind the move was being confused with one they’d made 30 years earlier when they left their farm. It didn’t take long for a dementia diagnosis to make it official. 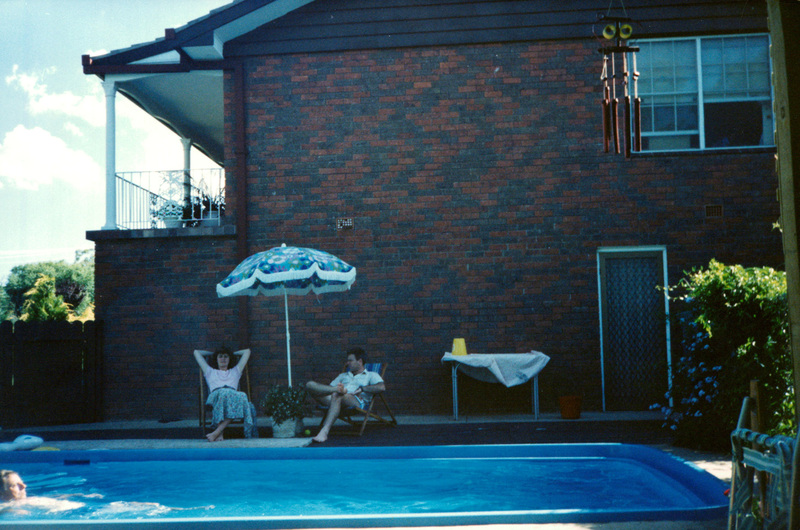 With the photos fresh in my mind I was struck by a sense of urgency to capture Gran’s life stories. One Saturday I set up a mini film studio in their new living room and with cameras rolling, I sat down with her to ask a few questions. 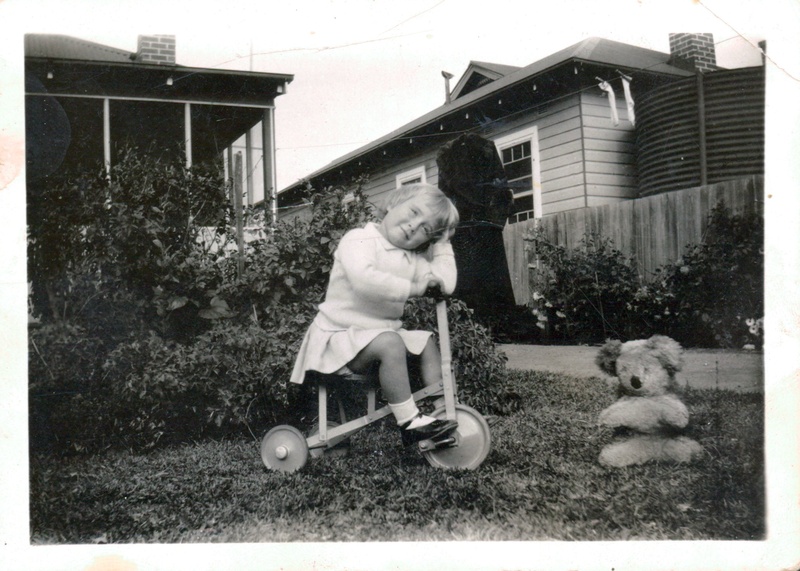 Do you remember the tricycle in this childhood photo? Do you remember the day you met Grandpa? Of course she did – in vivid detail. When we stopped talking two hours later I’d learned more about her life than I ever had before. I took the footage back to my editing suite and along with the family photos, started crafting a video about Gran’s life. It became a 15-minute film made up of precious memories, profound reflections, and the glint in her eye when she laughs and recounts a story. When I sent the completed film to my extended family the response was overwhelming. Emails with lines of exclamation marks and tearful emoticons started flooding in. Uncles, aunties, cousins – everyone was in love with this portrait of our inspiring Gran. The film had already become a family heirloom. The next step just seemed obvious. Of course other families would treasure a film about their loved ones too. 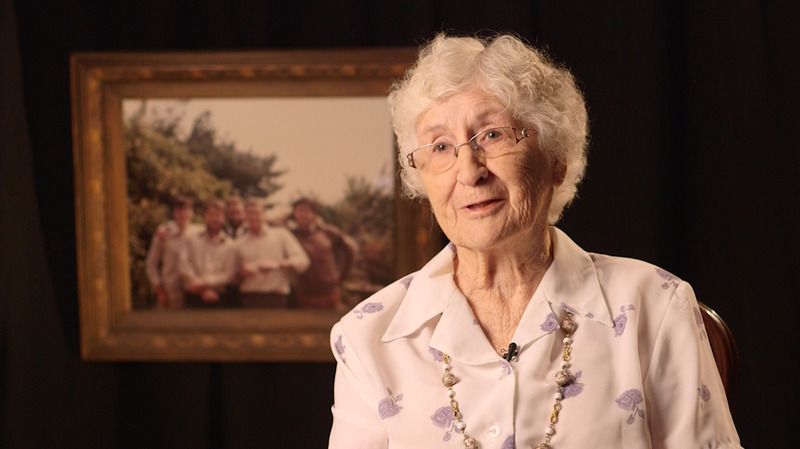 Heirloom Films was established to give other Australians the same opportunity to record life stories and preserve family history. My work as a filmmaker now centres on producing documentaries for families about their elders and I can’t think of a richer source of stories. Gran’s memory continues to fade at the edges but her passionate and positive spirit, which I managed to capture in her film, burns on brightly. It’s a legacy our family won’t forget.